“The struggle” is a playful phrase that we use to describe a period of time where something is presenting itself as a problem that we are dealing with. We could be in the struggle at work. We could be in the struggle with our weight and personal health. We could be in the struggle with school work. Everyone’s struggle is a little different. Sometimes the problem is minor and sometimes the struggle is more severe. The beautiful thing about living in community is that you realize that you are not the only one in the struggle. Living in a house with four other women, I have learned that we kind of take turns having our moments and seasons where things for whatever reason are not that easy. I love it though for a couple of reasons. For one thing, it makes you realize that you are human. When things aren’t going perfectly, it’s not because something is wrong with you. Everyone deals with the same sort of problems. Sometimes it’s easy to believe that you are alone in your trials when you are dealing with them in isolation. Secondly, living in community gives you an instant support group. At any given time, I can acquire four unique and helpful perspectives on whatever situation I’m in. It’s a pretty good set-up. 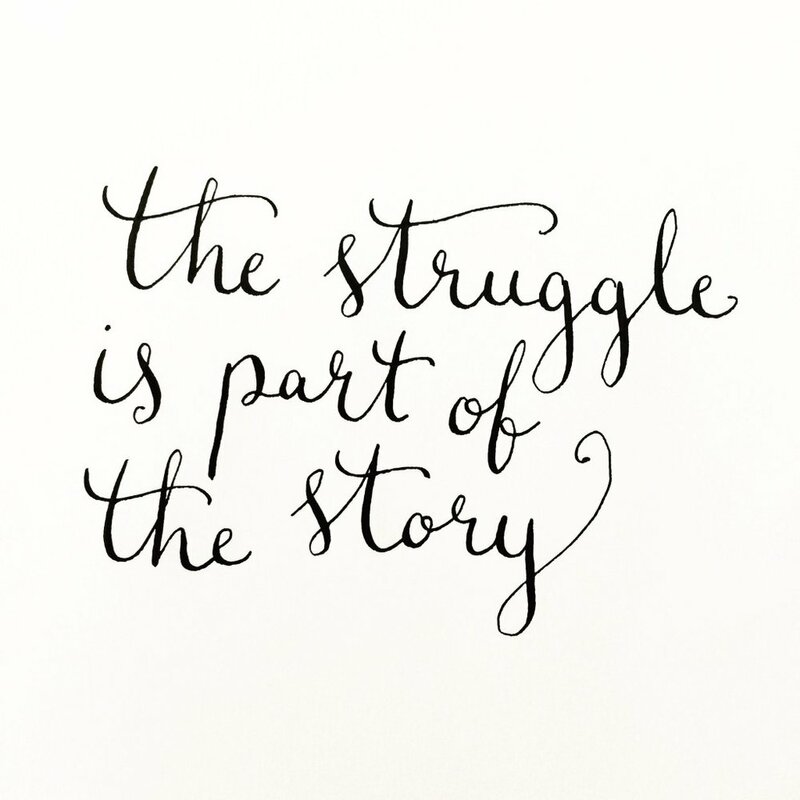 Lately, we decided though to erase the phrase “the struggle” from our vocabulary. Instead, we refer to these harder to handle seasons as “the process.” Individually, and as a house, we are learning that the tougher moments of life are exactly what God uses to bring healing to our hearts, to bring us closer to him and to equip us and prepare us for the future that lies ahead. Just calling it “the process” serves as a daily reminder that whatever we are going through is only temporary and intended by God to bring about His goodness in our lives. God doesn’t necessarily cause everything, but he can definitely use everything. This is why it says in Romans 8:28 that He works all things together for our good. Remembering that your trials are a part of the process that He is using to make you into a stronger man or woman, helps us to keep our joy up even in the midst of conflict. Trust God and trust the process.